The yin and the yang. You likely first encountered this phrase and its accompanying image at a young age, whether in the form of a friendship necklace or a doodle. The contrast of black and white alone hints at one of its basic definitions of duality. 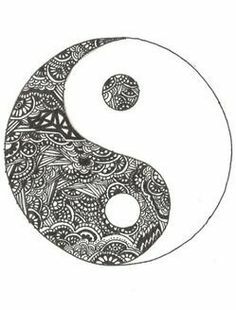 Representing the intention to achieve balance between oppositional energies, the yin and yang can be applied to almost all facets of life. However, finding a harmonious equilibrium is an active, difficult practice, as our environments and predispositions sway us to allow one energy to take precedence over the other. When we allow this delicate balance to shift too far to one side, problems begin to arise. While yoga can be, by nature, a balancing practice, it is not exempt from falling into an uneven equilibrium. In recent years, yoga has gained momentum and become commonplace in society. At this point, it would be difficult to find someone who has not heard of vinyasa, Bikram, or Baptiste yoga. All of these styles can be considered “yang,” as they are associated with more active practices, which build heat, involve strong muscular engagement, and/or have a fast-paced flow. These practices are energizing, strength-building, and stimulate almost all of our organ systems. In today’s modern, driven society, which emphasizes achievement, progress, and ambition, it makes sense that this type of practice is very popular. Culturally, we are “doers” and often even look down upon actions or practices that move slowly or don’t demonstrate a large, visible reward. In a vigorous vinyasa class, it is easy to see immediate effects: sweat dripping off your body, an increased heart rate, and muscular fatigue. Additionally, these classes often incorporate more complicated postures, which create the feeling of accomplishment and progress. For these reasons, opposite, balancing practices such as yin yoga, which does not involve much active engagement, are practiced at room temperature, and employ the use of long, passive holds, are often misrepresented as “lazy” or useless. In truth, this logic could not be more flawed. Yin yoga is not a familiar, muscular type of exercise, but the benefits the practice offers our physiology are invaluable. While yang practices target our muscles, yin exercises our connective tissues. What exactly are connective tissues? While there are many types of connective tissue in the body, yin postures have the most profound impact on our dense, irregular connective tissue, or the deep fascial layer surrounding the muscles and joint capsules. 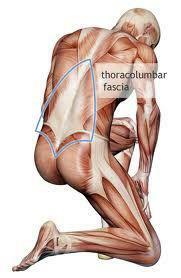 Fascia is a stiff, matrix-like net that provides support for our muscles and joints, as well as biomechanical feedback to the body. Unfortunately, as technology has progressed, we have transitioned from an active, mobile society to a sedentary society that sits behind a steering wheel, computer, or television screen for the majority of the day. Even with regular exercise, most of us cannot avoid long periods of being sedentary. During these sedentary periods, our body’s intelligence induces adaptations to fit our primary level of activity. Therefore, as our muscles and joints are chronically shortened, our fibroblasts (cells of the connective tissue) read this information and begin to induce biochemical changes in the fascia. These biochemical signals cause increased cross-linking of collagen, a stiff, fibrous component of fascia, which results in shortening and reduction of elastic mobility in our tissues. So how can we counteract this facial hardening? An answer lies in yin yoga. In the next post, we will discuss how yin ignites biomechanical feedback and induces biochemical changes to restore mobility and fluidity in the body.